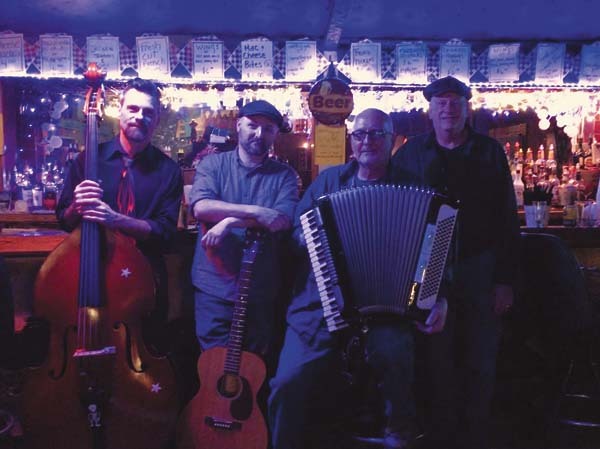 ∫ Linda Lee and the Fox Creek Band: Pawling Hall, 86 N. Pawling St., Hagaman, 4 p.m. $10 cover. All welcome. ∫ Drop-on crafts: Gloversville Public Library in the children’s room, 34 W. Fulton St., Gloversville. The staff will be available throughout the day to help children and families create somethings. ∫ The Amsterdam Public Library will be hosting a STEAM focused Preschool Learning House on April 12. The project will be a weather focused one to learn about rain. The event starts at 10:30 a.m.
∫ Mittler and Hansen Duo: Sam’s Seafood and Steakhouse, 281 N. Comrie Ave., Johnstown, 7 p.m. No cover. ∫ Bobby “Badfinger” Motyl: Aaron’s Irish Pub, 231 N. Main St., Gloversville, 9 p.m.
∫ Rough-n-Real Band: Snowed Inn, 375 Midline Road, Amsterdam, 8 p.m. $5 cover.